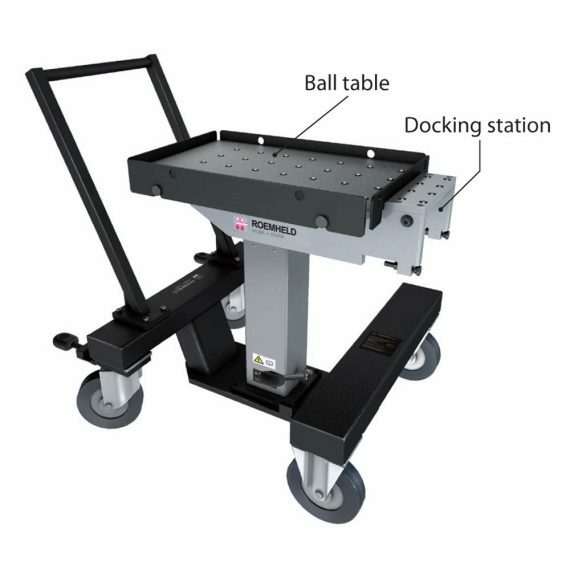 The die changing carts are manually guided and load/unload is also manually effected by means of roller or ball inserts. For the transfer to the press, an additional ball support can be mounted for bridging of gaps. Height adjustment is made by hydraulic ROEMHELD standard lifting columns with single-lever operation. 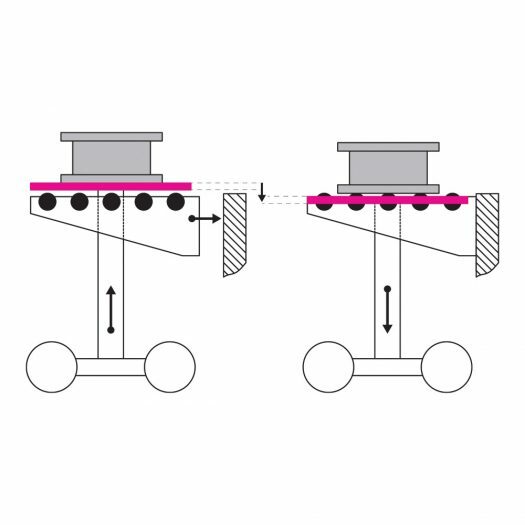 For transport, the center of gravity of the load must be positioned in the center of the cart and the lifting columns must be completely lowered.